In his first column of a winter series, Timeform and Racing UK analyst David Cleary pinpoints horses sure to be of interest in future, and always with an eye on the Cheltenham Festival. "Debece is a smashing chasing type on looks and his jumping on his first start over fences, as well as the way he stuck to his task in forlorn pursuit of a race-fit rival, promises much. March is a long way off, but this close relative of Don Poli (aka I Plod On) could develop into a National Hunt Chase contender." Chepstow in October has long been regarded as the start of the 'proper' jumps season. What is now a two-day fixture has been the starting point for some notable names over the years - Native River made his chasing debut at the 2015 meeting, while Altior was victorious on his hurdling debut the same season. Sam Spinner, Elgin, Finian's Oscar, Wholestone and Elegant Escape were among notable names seen at the fixture in 2017, most of them meeting defeat. This is the beginning of the campaign and levels of fitness, alongside plans for the full season, mean victory here is not the be-all and end-all. Last year, Sam Spinner and Wholestone made the frame in the Silver Trophy, the first really competitive handicap hurdle of the autumn, and this season's running also features names worth noting. The race itself was muddling, with the pace surprisingly gentle, which wouldn't have played to the strengths of the favourite Theclockisticking, who did well to finish fifth. While he had the ability to win a novice at two miles, Theclockisticking has a pedigree and style of racing that suggest he will progress again when he gets an increased test of stamina, set to be suited by three miles in time. Given he's regarded as been best away from the mud, it may be he will have the Pertemps Final on the agenda for the spring. The pacesetter in the Silver Trophy was Whatmore, who held on well enough to take a good third. He raced and jumped quite exuberantly on his first start since the spring and, although he had the run of the race, there was plenty to like about the manner in which he went about things, particularly with a novice chase campaign in mind. Whatmore wouldn't be troubled by a drop back to two miles. Captain Cattistock wasn't far behind in sixth, shaping encouragingly, given he's another who has untapped potential for when he goes over longer trips. 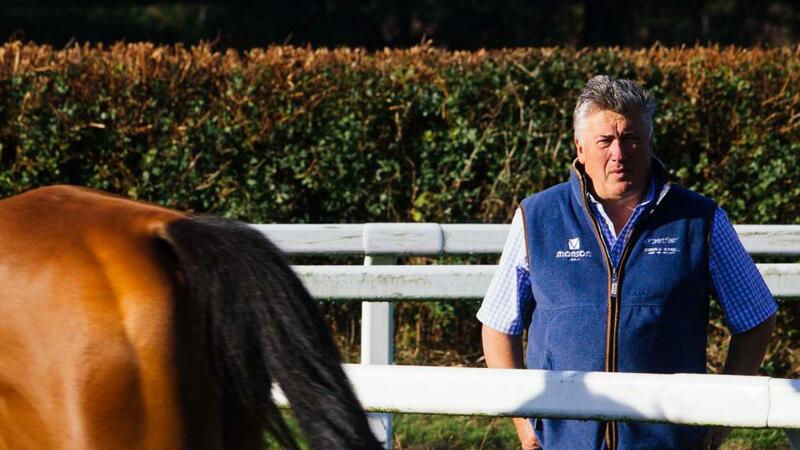 His trainer, former champion Paul Nicholls, often targets this meeting for the launch of his main campaign, and will have been pleased with a return of four wins and a good second from nine runners over the two days, a record that might have been even better had two of the nine not fallen when in contention late on. Nicholls' debutant bumper winner McFabulous is certainly a bright prospect. In a typically steadily-run affair, he got tapped for foot and didn't know what to do when the pace initially increased, but he picked up really well once the penny dropped and was well on top at the line. Given he's a Milan half-brother to the top-class Waiting Patiently, it augurs well that he was able to win as well as he did, the way the race developed. He would be an interesting contender for the bumper at the Cheltenham November meeting, though he might be even more exciting sent straight novice hurdling. One trainer that would be a little less satisfied with the results over the two days would be Gary Moore, as his two runners both finished second. The gambled-on Baron Alco was a bit unfortunate not to make a winning return after a lengthy absence, but his stable-companion Traffic Fluide might be of even more interest in the weeks to come. A high-class chaser at his best, Traffic Fluide was trying nearly three miles for just the second time and saw things out really well, going with plenty of enthusiasm and denied only by a revitalised The Young Master. This effort opens up plenty of possibilities for Traffic Fluide, with one of the good three-mile handicaps at Ascot during the winter, or even a pop at the Ladbrokes Trophy worth considering, Traffic Fluide's mark likely to remain a decent one, despite this effort. Finally, Debece made a promising return and will surely win a chase or two this winter if all goes well. He had a truncated campaign in 2017/18, limited to just two runs over hurdles, but could well make up for lost time with this under his belt. Debece is a smashing chasing type on looks and his jumping on his first start over fences, as well as the way he stuck to his task in forlorn pursuit of a race-fit rival, promises much. March is a long way off, but this close relative of Don Poli (aka I Plod On) could develop into a National Hunt Chase contender.